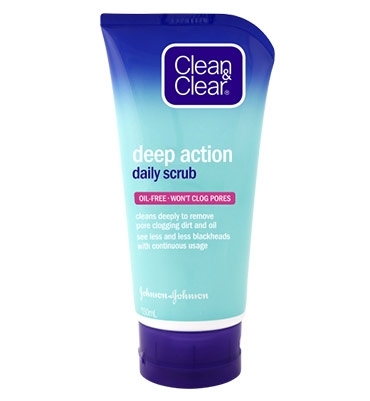 CLEAN & CLEAR® Deep Action Scrub is designed to invigorate skin by cleansing pores deep down and gently exfoliating surface skin. The CLEAN & CLEAR® Deep Action Scrub provides a tingly, cooling sensation as you gently massage the scrub on skin — the unmistakable, revitalizing feeling of a deep cleansing action. Get your face good and wet then squeeze out a small amount of exfoliating cleanser onto your palms. Now the important part: Gently massage your whole face. If you get some in your eyes, no need to panic, just rinse your peepers with water. Rinse off your face too and pat it dry with a towel.